The Arakan National Conference is now underway in Kyaukpyu, a coastal township on Ramree Island. The goal of the conference is to find solutions to a number of issues, including communal conflicts and violence problems that plague the state. 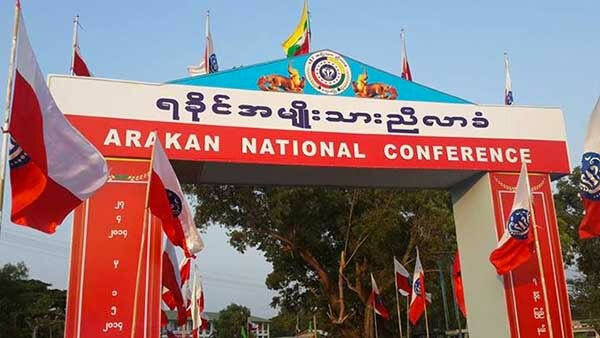 The national conference of the Arakan (also known as Rakhine) people was scheduled for five days and involves a large number of ethnic natives. It focuses on topics including national peace and security as well as economic development and the settling of challenges by agreement. Six papers were expected to be presented at the conference for discussion. These papers were expected to deal with issues including the consolidation of the nation, self-promulgation, national equity, security, peace, the economy, development, education, humanitarian issues and health care assistance, according to locals familiar with the agenda. Participants include government representatives, Arakan National Party leaders, the ethnic Army and social service groups from Kyaukpyu and the state. Including local residents, numbers were expected to reach about 1,000 people. Arakanese ethnic organisations have held similar large meetings related to their interests on four occasions. The last event in Yathedaung Township in 2012 was during a political climate in Burma that made it impossible for some people to join in. The Arakan State’s total population is about 3.3 million people. And a third of those are Muslim, according to numbers from governmental sources. Violence that resulted in a number of deaths broke out in the Arakan State in the middle of 2012. In all, 167 people were killed and 223 were injured. More than 10,100 homes and other buildings were destroyed, meaning that 111,000 people from nearly 17,000 households were displaced.